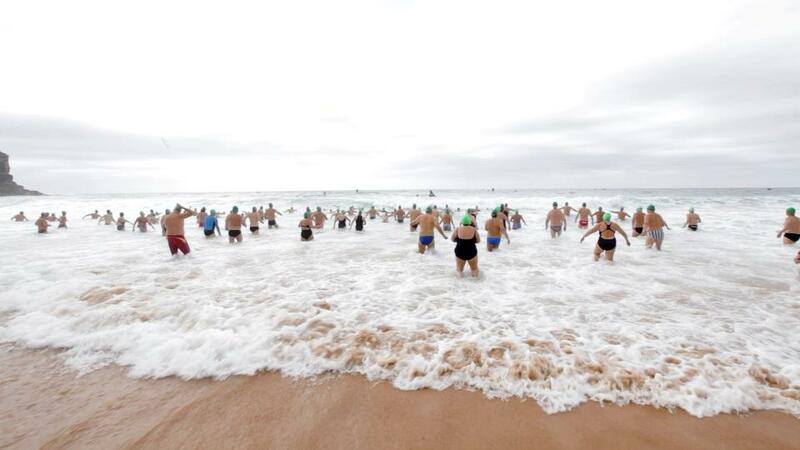 Bilgola Surf Club opened the Pittwater Ocean Swim Series on Sunday 13 December. 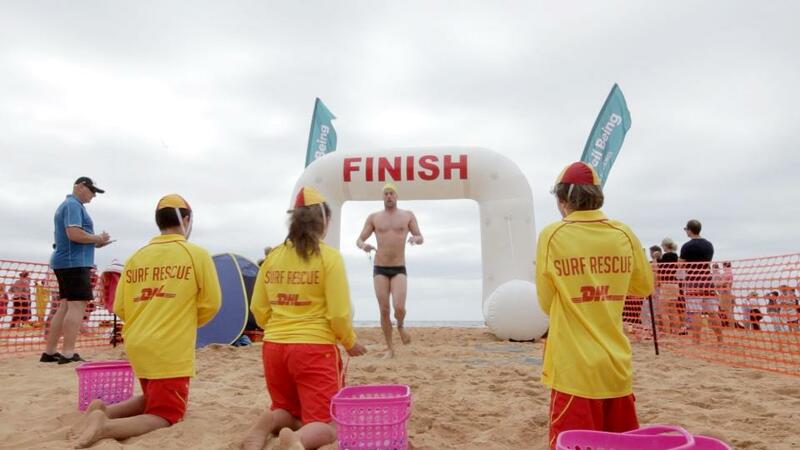 The club hosted a 1.5km, as well as a new 800m swim with a large amount of people entering both races despite a chilly start to the morning – as shown by the pictures provided here by Bilgola SLSC Members. Kurt Herzog, aged 23 was first back in a time of 14:55 while Yumi Kida, 30 years old, was the first female swimmer, and second overall, only five seconds later. Her time - 15:00. John de Mestre secured 3rd spot with 15:44 and Chris Fydler, a gentleman who featured among early finishers last season, was 4th with 15:58. John has been ocean swimming for over 30 years and has competed in ocean swims around the world. And, he manages to win a couple of ocean swims each season. In 2015 he won the Hawaii North Shore 5Kms ocean swim against younger swimmers in challenging conditions. "Finishing and of course I enjoy getting fit. The whole process is very enjoyable". In his younger years Peter reckons he was an above average swimmer but far from brilliant. "I swim every day for a month or so, before a swim, building up to around 2Kms a day. When I can swim from the rock baths at Palm Beach to Barrenjoey I consider myself fit". Bilgola is a pretty beach and the club puts on a good swim each year with all the funds going towards essential life saving equipment. So it is a win-win for the club and for the safety of swimmers who flock to the beach in summer. The club stated on Friday (December 18), “Congratulations and thank you to everyone who helped make the event such a success. Special thanks goes to all our sponsors. " • Blackmores – Marcus & Caroline attended with Caroline starting the 800m with pro surfer Holly Wawn, and were joined by CEO Dave Fenlon whose son swam in the 800m. Jessica McCallum spent the day supporting the swim. Bilgola’s ‘Blackmore’s Billy Swim’ is followed by the Pool to Peak at Newport Beach with an 800m swim and a 2kms swim on Sunday 3 January 2016. This is followed by the Avalon Ocean Swim on 17 January with a 1km Kids swim (but open to anyone), a 1.5km swim and a 500m Dash for Cash Fin Swim. 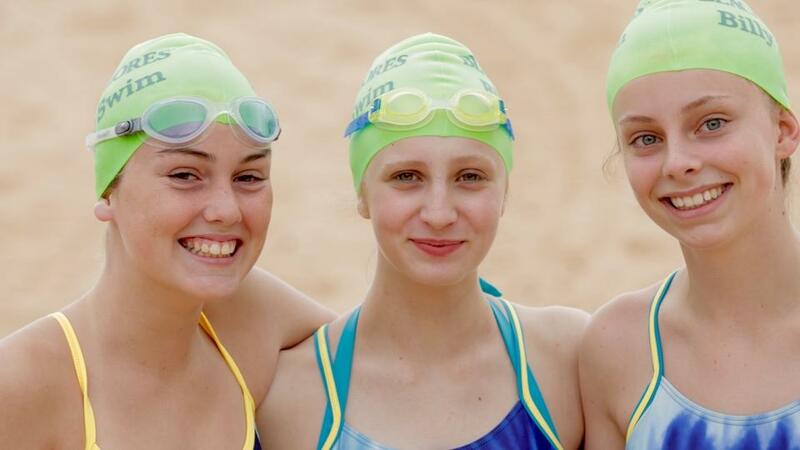 The weekend after this, 24 January 2016, Mona Vale will have their popular 1.5 Kms swim from Warriewood Beach to Mona Vale and finally the Big Swim from Palm Beach (2.8Kms) will be held on Sunday 31 January. Swimmers who do three of the five swims in series will go into a draw to win a major prize: a trip for two to Byron Bay including return air fares and staying at the Bay Royal Luxury Apartments. The prize also includes entry into the Byron Bay Winter Whales Ocean Swim Classic in May 2016. The Pittwater Ocean Swim Series is proudly supported by Pittwater Council with a grant of $5,000 and the council has also provided free parking for swimmers in designated beach parking areas. Entries to all the swims are available on www.oceanswims.com where you will also find all the details about each individual ocean swim and the results. If you want to do something to support our local clubs and set yourself a great challenge for opening 2016 with ‘good health’ then dive in to one or more of these Pittwater Ocean Swims, you may just find yourself in sunny Byron!